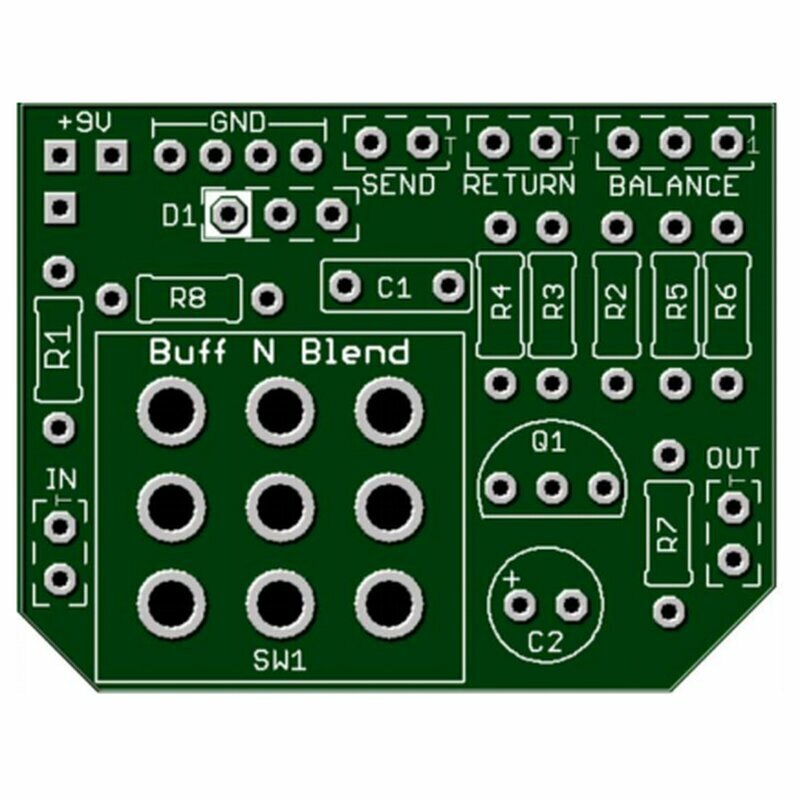 The Buff N Blend splits the guitar or bass signal in two paths. One is going through an effects loop, the other one goes straigt through. Using the Balance pot the signal can be mixed together again! 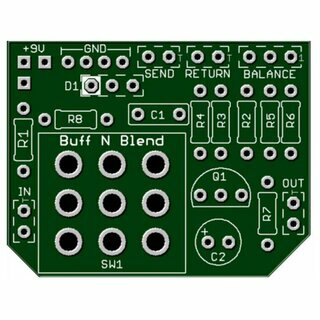 The dimensions of the pcb are 50x42mm. Everything works, easy to assemble.